Here in Rowan County, North Carolina, our County Commissioners are defending themselves against an ACLU lawsuit, because they refuse to open the meetings with an inclusive prayer. Coming to their defense, our brave representatives in the state house took a shot at establishing a state religion. 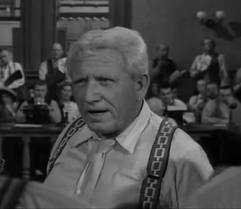 There’s not a lot to say that hasn’t already been said — so why not let Spencer Tracy make the point. He said it very, very well!